Ill health and the stress are unavoidable problems. How to maintain good health is always a favorite topic for many. Yoga is one option that can give you a boost both physically and meantally. But what is the best way to learn yoga? Let’s look at the pros and cons of some of the options. 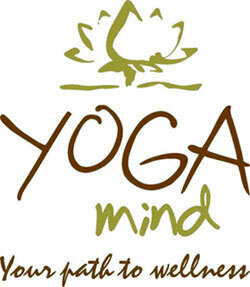 Some people prefer to learn yoga by themselves as they feel they can carry out the yoga anytime at no cost. You can by VCDs taught by some well-known teachers in video shops and even hypermarkets like Tesco and Giant. There are many types of yoga VCDs available in the market teaching people to perform yoga at home. But most VCDs are designed for basic to intermediate yoga practice to cater for the mass market. If you are looking to take your yoga to a higher level, then you will need to look further. Books are also great way to learn yoga, especially if you wish to blend practice with theory. Although you cannot listen to a voice to direct all the poses to be done, however there are pictures shown in the book. So you can follow those poses and do yoga in the comfort of your home. Good books are readily available in bookstores like Popular, MPH, Borders and Kinokunya. Some of the books only contain pictures with the name of the poses, whereas some with the explanation of each posses perform. Prenatal yoga classes in Malaysia is an underserviced market. If you can’t find a suitable class near you, one way to learn is through books but if you wish to do this it is good for you to have some basic yoga experience first. That way you will reduce the risk of injury and harm to your baby. The best way to practice yoga is to join a yoga class taught by a good teacher. You will have a real teacher to guide you through the poses step by step. All the poses that you do during the class are observed by teacher and it is important to have a caring teacher to show you the proper alignment, how to get into and out of the pose. If there is any question to be asked regarding the posing, you can ask the teacher after the classes. In certain poses such as the Triangle Pose, it is easy to make a mistake in your alignment, for example by collapsing your back to try to reach your feet. Practising with a teacher will help to do such poses properly so that you will benefit from it. So, which way you prefer? Choose it already? Then, don’t wait anymore, get the first step and go YOGA!!!!! Nowadays, any matter concerning healthy lifestyle has become a norm in everyday conversations, in any age groups and in all kinds of communities. The only concern is how is one going to achieve that? The food we consumed everyday and our daily physical exercises are important to determine whether we are pursuing a healthy lifestyle or not. However, try as we may, it is never an easy task to set a proper balance of what we consume nor how much physical workout can we do a daily especially when we have other priorities in hand. At the end of the day, we could only be achieving a minimum improvement to our healthy lifestyle regime. Then it’s back to the question, how? Here’s a flow sequence by one of the popular YZ teachers Gilbert Ng. Check out the graceful sequence of moves which also include balancing postures, combining multiple variation of crane, headstand, handstand, scorption, astavakrasana and more. Never knew he is on YouTube! Go Gil! So what does Yoga have to offer that the fully-equipped Gym does not have? Well said indeed. But let’s face it… none of us yogis get to feel that good by just signing up for one class. Do it 2-3 times per week for a couple of months, and you really get what Mark Davis is saying. Maybe that could be the new name of YZ Kepong and Plaza Damas when all the smoke clears. Seems that a couple of YogaZone teachers are still there: Jess, Jessie, Chaniel, Au Yong, Leric, Dr Ameen, Ken, Kim, Pari etc. Quite an impressive line up indeed. 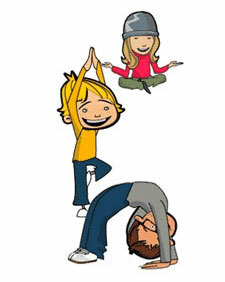 Just a thought, why don’t some of the teachers get together, invest some money and get their own yoga business? You would really have to feel for the Yoga Zone teachers who did not receive salaries for 3 months or more. After a couple of weeks silence, Ninie Ahmad (Yoga Zone’s “celebrity” instructor) is now posting on her blog again. 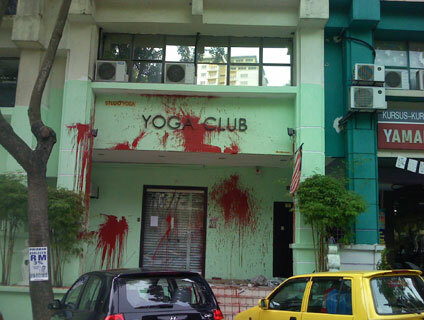 Not too long ago, YogaZone’s Taman Desa outlet was smeared with red paint with reports that employees were disgruntled over the center’s management. From the original yellow color, the outlet transformed itself into a soothing green color. Some thought it was for feng shui purpose! But no mistakes about it now. Once again red paint ruled the day… this is how the green outlet looked like as of yesterday 9 September. I thought Yoga helps one to calm the mind and spirit. No excuses for such a shameful act…. is vandalism supposed to solve any problem? Who would have done such a thing!